Born in Philadelphia the Eldest child of three to Eugene and Beverly Strange. Stephen Strange always dreamed of being a Doctor. Stephen's younger sister Donna died of drowning when Stephen was 19 and he couldn't save her. This inspired him to finish medical school extremely fast. He became a world reknowned neurosurgeon. *Strange displayed phenomenal talent and attained wealth and notoriety which caused him to become arrogant and he grew estranged from his family. This also ended his relationship with his fiance, a United Nations translator named Madeline Revell. Stephen also grew estranged from his father, and refused to visit him on his deathbed. This enraged his brother, Victor, who was hit and killed by a car during an argument with his brother. Then, a car accident damaged the nerves in Stephen's hands so he could no longer be a surgeon. He squandered his money traveling the world, searching for a cure. Stephen discovered the location of the Ancient One who supposedly could cure him but he refused him. Stephen's anger was short lived when he discovered another world and witnessed the release of magical forces right in front of him - an attack on the Ancient One. Stephen discovered it was Baron Mordo, the Ancient Ones chief disciple, who had attacked the Ancient One in an attempt to gain power. Stephen could not reveal this as Mordo ensorcled him witnb a spell. Knowing the Ancient One was a force for good Stephen became the student of the Ancient One in order to defeat Baron Mordo and save the Ancient One, sacrificing the chance to ever become a surgeon again. Stephen proved himself to the Ancient One by sacrificing for the greater good. The Ancient One had known about the plot and trained Stephen in magic. Thus Stephen was well on his way to becoming the Sorcerer Supreme. Dr. Stephen Strange returned to New York after years of training in the Mystic Arts as a Master. In the early years after his return, he met and became allies with heroes such as Spider-Man, the Fantastic Four, the Avengers, and Thor, the last making an enemy of Loki. In the intervening years, Strange has made many new enemies, including the Dread Dormammu, Shuma-Gorath, the Undying Ones, and Nightmare. Stranges first battle with Dormammu occureed when Dormammu attempted to invade earth. Strange defeated Dormammu in the Dark Dimension after accidently releasing the Mindless Ones. The Mindless Ones would have destroyed the other denizens of Dormmamus realm, so together they restored the barriers and defeated the Faceless Ones. Accepting defeat, this time, Dormammu released Strange. They have fought many times since, with Strange always getting the upper hand. *It was then that Strange met Clea for the first time, and she would one day become his apprentice (and his lover). A beautiful but inexperienced mystic, she was the daughter of Umar, Dormammu's sister. The creation of the Defenders. Strange teamed-up with the Hulk, Namor, and the Silver Surfer to combat world-conquering demonic threats, like the Undying Ones and the ancient Nameless One. The Defenders battled numerous threats both supernatural and "normal". Other heroes joined the originals, such as Daimon Hellstorm, the Overmind, Valkyrie, Nighthawk, and Hellcat. Dracula and the Montessi Formula. As the Sorcerer Supreme, Strange fought Dracula with the assistance of Hannibal King, Blade, Frank Drake and Wong, Strange's "manservant" and close ally. While Doctor Strange fought with Dracula, the team spoke the words of the Montessi Formula located in the Darkhold. This virtually eliminated all of Earth's vampires, including Dracula. Strange fought many other threats, both within the Earth dimenion, and other dimensions, even battling cosmic entities such as the In-Betweener, the Dark Dimension "civil war" between Clea, Umar, and Dormammu, opposing Thanos in his attempt to destroy all life in the Universe using the Infinity Gauntlet, others claiming the title of Sorcerer Supreme, such as Salome, the first Sorcerer Supreme of Earth, and Shanzar, the Sorcerer Supreme of another dimension. Strange was even drawn into a 5,000 year battle against the Trinity of Ashes on the side of the Vishanti. Strange also made some mistakes during the time: Attempting to resurrect his brother Victor caused the undoing of the spells that eliminated Vampires from the Earth. Victor rose from the grave as a Vampire. The ramifications of this allowed the resurrection of many of the destroyed Nosferatu. Strange did manage to banish the Vampire Verses to another plane of existence, however. Strange has also been involved in the creation of "secret" teams, such as the Secret Defenders and the Midnight Sons. With the assistance of his former friends in the original Defenders, Strange, Namor, the Hulk, and the Silver Surfer banded together and defeated the manipulations of Yandroth and his attempt to take over the World. As a member of the Illuminati, he along with several other of the Earth's Mightiest heroes, met at the times of greatest peril and biggest threats to the universe in an attempt to solve the issue(s) themselves. When others found out that a select few were making these decisions, Civil War broke out amongst Earth's champions. Dr. Strange then became a member of the New Avengers after the end of the Civil War. Strange had not taken a side in the battle. Stephen Strange is a complicated man. In the beginning, he was a man of simple motivations. Money, power, glory, to be recognized for the great surgeon he was. He NEEDED the aplomb, the aggrandizement. Now, he is different. Humbled. That isn't to say he isn't arrogant or over-confident. It is just to say that his motivations have changed from a man who wants to serve himself and his own selfish goals, to one who wants to protect the Earth Dimension and all those in it. Stpehen is now fully cabable of sacrificing himself for the greater good, and deep down, that is what the Ancient One witnessed in the beginning. Strange is now the Sorcerer Supreme, which satisfies his enorormous ego. He is also the sworn protector of this dimension and would sacrifice everything to protect the people here. Stephen is constantly trying to improve himself. Knowledge, wisdom, the latest spell or incantation, to learn and evolve. To remain the Sorcerer Supreme and the Master of the Mystic Arts. His ego could not stand anything less than being the Master. Strange also wants to ensure that this dimension is safe from aliens, extra-planar attackers, demons, devils, and ultimate evil. Stephen is the ultimate protector. He will throw himself into danger to protect others. His ultimate goal is to keep this dimension, this planet, safe from harm and he would do anything to accomplish that goal. Strange has been the defender of the Earth Dimension for some time now. As the Sorcerer Supreme and Master of the Mystic Arts, it is his calling to be the defender of this world. He has called on others to assist him in the past to do this difficult task, and he feels he can rely on Earth's Defenders to come to his call when needed. Stephen truly cares about the people of Earth, and he would sacrifice anything to ensure their safety, even himself. This self-sacrifice is something that he came to grips with long ago as he put his previous self-serving arrogance behind him. Strangely enough, no pun intended, Stephen is actually a pretty good leader. His confidence, experience, knowledge, perseverence and dedication to his goals make him charismatic when the chips are down. Strange has no issues with taking charge when required, and is an above average tactician and strategist. Stephen can call on others to do their best and rise above the occasion to do their utmost when they are all in dire straits. Stephen is calm, collected, and strong willed in the face of ultimate evil, and this is reflected in his confident manner in dealing with the terrors of demons, or the evil of super villains. Stephen is in tune with his surroundings. His spiritualism is reflected in his serene expression and calm even in the face of ultimate evil or depravity. His training and experience makes him the perfect person to deal with extra-planar transgressions and travel in dimensions that would make Dante himself pee his pants. Stephen is of strong moral character, is solidly on the side of "good" and can easily identify good and evil when confronted with either. Serenity and good moral conviction allow him to battle evil on a daily basis. Stpehen is extremely intelligent, sophisticated, charming, witty, handsome, and is used to traveling in a different crowd when he was young and a successful surgeon. Stephen is comfortable with anyone, from the blue collar crowd to the rich and powerful. He has been both in his lifetime. Observant and calculating, he can talk with Presidents, CEOs and Royalty without batting an eye. Stephen has a good sense of humour, and is able to use this to manipulate the situation to get him what he wants. Through all of his experience, knowledge, power, and accomplishments, Stephen has learnt a lesson from the Ancient One himself - he is humble. Wise. Knowledgeable. A servant to the people of this dimension. Through everything he has learned, he realises that there is still an infinite amount of knowledge to learn, and this humbles him. He uses what he has learned to teach whenever possible, and to preserve knowledge always. He listens to those around them and their points of view, respecting what they have to say. Stranegly enough, Stpehen can actually be humble. Sometimes. Dr. Strange is a Master of the Mystic Arts and the Sorcerer Supreme of the "Earth" Dimension. As such, he has near limitless mystical power and energies that he can call on and channel in a myriad of ways. As the mightiest sorcerer of this dimension, he has no equal. His training, discipline, experience, enlightenment, and potential is nearly unmatched by any mortal in the multiverse. Stephen calls upon three different sources of magic - the powers of the soul, body, and mind. Stephen can access these powers by utilizing one's own psychic and spiritual resources, tapping into this dimension's local energies, and/or derived from invoking the names of certain magical items or extra dimensional beings residing in other dimensions. The latter requires the recitation of a spell, either one found in a book, or an original one, resulting in extra-dimensional assistance. Dr. Strange can use his own innate mystical abilities to seperate his spirit or "astral projection" from his body in order to travel anywhere at near limitless speeds. The form does not obey the laws of phsyics and cannot be affected by normal means. This form retains all of Stephen's knowledge and abilities, including the abilities of the Eye of Agamotto, and can remain invisible and intangible to the physical world. This form can only be affected by the most powerful of mystical attacks. Stephen can remain in this form for up to 24 hours without suffering ill effects, but he must return to his body after that time before his body begins to suffer physical damage. Stephen's body remains in a deep trance-like state while the astral form is not present, and if the body were to be damaged, Stephen would be stranded in his ghost-like state. Dr. Strange can utilize his knowledge of the Mystic Arts to cast bolts of eldritch energy at his opponents. These bolts can hurt even extremely powerful dimensional beings and he has a surgeon's control of the level of force and accuracy he uses. Dr. Strange can utilize his knowledge of the Mystic Arts to raise shields or screens, including mental, physical and energy shields. These shields are nearly impenetrable and can have varrying degrees of power invested in them, depending on the attacker and the requirements. He has been known to prevent the mental attacks of some of the greatest telepaths on the planet, to resist mystical attacks from Dormammu and other extra dimensional beings, and resist the attacks of the Hulk. Dr. Strange can utilize his knowledge of the Mystic Arts to hypnotize and mesmerize others in order to control them to do his bidding, in person or even at a distance. He rarely uses this, however, as it is a darker magic then he likes to use. Dr. Strange can utilize his knowledge of the Mystic Arts to create small items from the magical energies of the dimension he is in, from currency, to knick knacks, to light and heat. He can also change matter from one form to another, if he desires. Stephen can also use his magic energy to create elemental effects, from ice and fire, to water and air on par with Crystal of the Inhumans. He can summon bolts of lightning, freeze someone in a block of ice, or put out the Human Torch by summoning a tsunami of water and summon gusts of winds to propel someone aloft. Cytorrak: produces bands which will bind anyone until he wills otherwise and he can create a sphere to hold an enemy, protect someone, or to transport someone elsewhere. The Faltine: called on to create fire and flame effects. Ikonn: creates illusions of any kind. Ragadorr: produces stong magical rings - utilized as a weapon or bindings. Satannish: can call forth darkness of differing levels and effects. The Seraphim: these dark spirits are called upon to create strong shields or spheres more powerful than Cytorraks. Valtorr: invoked to produce vapors or mists to cloud an area or a person's sight. Watoomb: called upon to create winds. Others include, but aren't limited to: Denak and The Moons of Muniporr. Dr. 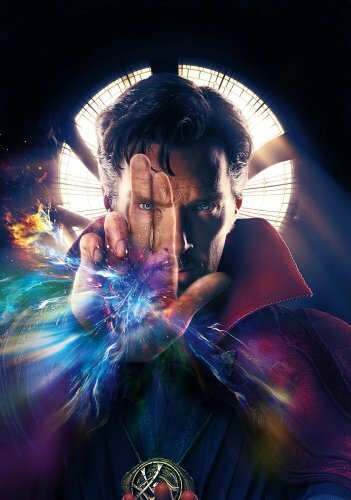 Strange can utilize his knowledge of the Mystic Arts to invoke the Extra Dimensional beings known as the Vishanti to create mystic effects as per the previous Entities. These entities get their own entry because of the close relationship Strange has with them as the champion and protector of the Earth Domension, as well as the more powerful effects he can channel from them utilzing invocation magic. There are three spirits: Agamotto, of which he has received two powerful artifacts from (Eye and Orb of Agamotto), Omnipotent Oshtur (a "feminine" entity), and Hoggoth (often called "hoary Hoggoth" - presumably indicating that he is of great age; and as the "Lord of Hosts" - usually appears as a tiger or lion with burning eyes). Dr. Strange's home is also his headquarters. The Sanctum Sanctorum is located on Bleeker St. and Fenno Place in New York City's Greenwich Village. It appears as a large, old house that may have been built in the Late 1800s or early 1900s. The Sanctum is built on lands of ancient power that Stephen felt should be protected. In actuality, Stephen had the Sanctum built over this ancient Native American burial ground and place of power. Inside contains the knowledge, artifacts, tomes and wisdom that Stephen has accrued over the years as the Sorcerer Supreme. The house is a strange mystical artifact, the inside changing as though it has mind of its own, and only those that live there understand the intricacies of the mystical nature of the house. Dr. Strange's home, the Sanctum Sanctorum, contains many artifacts and objects of power that Dr. Strange has accumulated over the course of his career. He has also several artifacts that he has inherited from previous Sorcerer Supreme's, like the ancient one. Many of these are contained in a large room at the topmost level of his Sanctum, protected by magical wards and glyphs. STrange also has many tomes, spellbooks, ancient writings and scrolls that are located throughout the house, constantly being return to the Sanctum's library by Wong, Strange's manservant. Dr. Strange has many artifacts in his possession, but none are more valuable or more powerful than the Orb and Eye of Agamotto. These artifacts of incredible power were bequethed to him by the Ancient One himself. The Orb allows him to "see" into many different dimensions, locating powerful entities and beings. The Orb can even be used to manipulate the abilities and powers of those beings on Earth or in other dimensions which allows him to block their spells/incantations. It also allows Stephen to create portals to other dimensions and planes of existence, even more powerful than those created by the Eye. If a signifantly catastophic mystical event is going to take place, the Orb can even summon Stephen to it. The Eye is always loctaed at the clasp on his Cloak. It allows him to penetrate the disguises of any being, track beings of power, see the immediate past, and look into the minds of beings, seeing their thoughts. It can also be used to create a portal within the Earth dimension and into other dimensions. One of Dr. Strange's most useful artifacts in his possession is his Cloak of Levitation. This artifact allows Strange to fly without utilzing any of his mystical energy. It allows Strange to levitate in place or to fly at varrying speeds, even up to or over the speed of light! The Cloak responds to Strange's mental commands, and can even provide protection against projectiles or attacks almost as though it were sentient. It is very picky with whom it "chooses" to serve, and it only has one "Master" at a time. Dr. Strange was a world class surgeon and has retained much of his wealth from his past. He has also accumulated a lot of interest from investments and a portfolio that is envious to many. This money allows him to live comfortably, even though he never needs currency. If necessary, he could just create some out of thin air. Dr. Strange has an incredible amount of contacts from all "walks of life". Dr. Strange has contacts in the medical community from when he was a surgeon. He knows people in business and the upper class, also from those years. He has contacts in New York society and social scenes from his years living in New York. Although most of the world knows Dr. Strange, very few know him as a Master of the Mystic Arts. Most people know him as a surgeon and someone who has a passing knowledge of the occult. Dr. Strange has many contacts from the mystical side of the Marvel Universe, the multiverse, and other dimensions. Stpehen knows many mystical entities, and calls upon them for aid. He also has a complicated relationship with his former apprentice, Clea. He stays close contact with his former apprentices Rintrah and with Jessical Kale. He can also call upon the loose membership of mystical heroes known as "the Midnight Sons". His most valuable ally is his "manservant" and true friend, Wong. Dr. Strange has made allies, friends and acquaintances with most of the superhero community at large in the Marvel Universe. He can call on many of them to aid him in his duties, especially considering the magnitude of the dangers that he deals with. He can call upon the Defenders, the Avengers, the X-Men, amongst many others. Most of the super hero community knows who he is, and they will help him if necessary. Dr. Strange is also a member of the "Illuminati" and can call upon the members of that group when the events are Earth, Dimension or Universe threatening. Dr. Strange has a "photographic memory" which can be an advantage and disadvantage. This allows him to remember, almost with painstaking detail, everything he has ever read or seen. Now, when you are the Sorcerer Supreme, you have seen things you should try to forget. Unfortunately, Stephen cannot do that. He remembers the good things…and the horrifying things. It is sometimes a wonder he is still sane. Dr. Strange was a world class neuro-surgeon, world reknowned for his skill and his cutting edge techniques, the best in his field. However, when he lost the use of his hands he almost lost everything trying to find a healer. Although he will never practice surgery again, he still retains all the skills, knowledge, and experience from those years as a Medical Doctor. Dr. Strange is a Master of the Mystic Arts, and the Sorcerer Supreme of this dimension. As such, he has the skills, experience, knowledge, training, and expertise as the world's foremost expert in the occult, magic, dimensional travel, vampirism, demonology, "mythology", the supernatural, psychic phenomenon, mystical artifacts, tomes, and mystic theories. He has studied it all, including the history of magic. That does not mean he "knows everything", but his incredible photographic memory allows him to remember everything he has read in his years of training. He has mastered the applied and theoretical aspects of magic, and can improvise/adapt theis knowledge to nearly any situation based on this experience. Dr. Strange is not a physically forboding man, prefering to utilize the Mystic Arts to deal with 99 of all situations. However, there are situations where he has to resort to physical combat, and Stephen can respond to physical force if necessary. Stephen has received training from the best - Iron Fist, Shang Chi, Captain America, Hercules, Thor, Wong, and even the Punisher. He is not a Master of one, but highly accomplished in several of these martial arts disciplines. Stepehn finds that the discipline and being in tune with his chi and spirituality is almost the same as his channelling of the Mystic Arts. Strange holds black belts in Kung Fu, Judo, Karate and Aikido. He can best an average martial artist, and even trained soldiers without too much trouble. Dr. Strange is an accomplished mentor and teacher, and has had several apprentices in his years as the Sorcerer Supreme. He is also seen as a "senior statesman" of the Marvel Universe, and most heroes will listen intently when he has something to say. Many superheroes look up to him as a wise and knowledgable figure, and a true leader. His teaching and his ability to impart knowledge is probably on par with that of an esteemed University or College Professor. Stephen is charismatic and strong willed, able to take charge and motivate people when the situation warrants him to - especially if it is a mystical threat. Dr. Strange is an accomplished linguist. Stephen has studied dozens of languages, in order to read modern and ancient tomes and texts. Stephen is able to fluently speak, read and write English, Chinese, French, German, Japanese and Spanish (including dialects), with a minimal almost indistinguishable accent. Strange has also mastered a number of ancient languages, especially those located in the Mediterranean areas (Latin, Greek, Roman, Arabic). Dr. Strange is an accomplished historian, equivalent to a Doctorate in Ancient History, and has studied many ancient cultures and traditions, especially when linked with the occult and mystic world. Dr. Strange has become an introvert. Now that he has been Sorcerer Supreme for quite a while, he finds that the responsibilities of protecting this dimension from ultimate evil, dimensional entities that want it for their own, evil Gods, demons, and the occasional World Eater is a bit too much sometimes. When the world is ending, who does everyone come to for help? The Master of the Mystic Arts. This huge responsibility takes its toll on Stephen, and it can be very stressful. That isn't to say he isn't socialble. It just seems that the only time anyone wants to talk to him is to ask for his help. Dr. Strange, once he sets his mind to something, works towards the goal without a second thought. This single-minded determination sometimes gets him in trouble, as he sometimes forgets to look at everything happening around him. This can also lead to self-destructive behaviour, which is why he is currently single and has never really had a long term relationship. Stephen can also be a bit blunt when he is on one of his missions, and that can rub people the wrong way. Through everything, from his near limitless mystical powers, to his advanced knowledge and experience, there is something that Dr. Strange tends to forget. He is mortal. He can die from a gun shot just like any other mortal. He is not super strong, or super swift, or invulnerable, or immortal. He is a human being. This is something he sometimes forgets when dealing with super villains and nigh-immortal beings of pure evil. He is just a man. Known to a select few, Dr Stephen Strange is the Sorcerer Supreme and Master of the Mystic Arts. Logs tagged with "doctor-strange" or "re:doctor-strange" will appear automatically below.